Temperature observations show increasing trend of maximum and minimum absolute temperature in between 1961 and 2015, reflecting a global warming. Number of hot days is increasing, including the frequency of extreme hot days with daily maximum temperature above 35 °C. Number of days with temperature below zero show a decline. 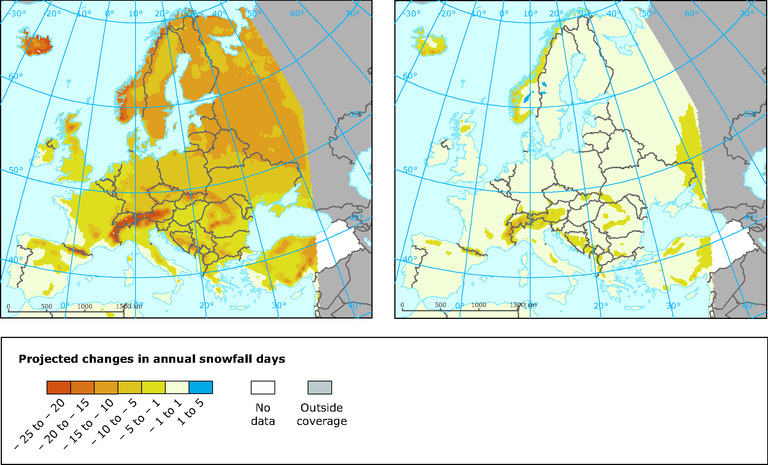 Apart from temperatures, another climate change related concern is the change in the precipitation regimes between regions and individual seasons. In last two decades Slovenia was faced with catastrophic droughts and abundant precipitation resulting in floods, sometimes drought and floods occurring even within the same year.